If you are looking for the professionals to hang up your Tulsa holiday lights this year look no further than Green Leaf Lawn. 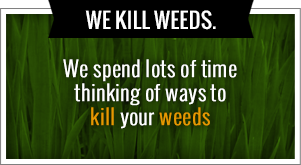 During the spring and the summer we are known for our professionalism when it comes to lawn care, mowing and weed control. But once the season changes so does our profession. We start hanging up lights all over the city for businesses and homeowners who are looking to have holiday with very little stress. We are the light installation contractors and professionals who can help you this Christmas in a big way. Call today for your free home estimate at 918-640-6405. Are you in charge of hanging up the Tulsa holiday lights this year for your home? Of course you are! It’s been the same since the day you got married and moved into that house. Every year it’s your job to hang up the lights, make sure they’re working and make sure that you have the right colors. We understand how much stress comes with trying to hang up those lights. Yet to untangle them, make sure they’re working and climb on top of the roof trying to get the string of lights straight. What if we told you there was another way? What if we told you that this is the year you don’t have to risk your life hanging from the roof? 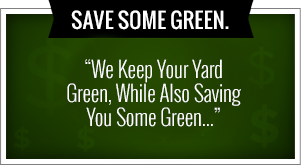 Green Leaf Lawn has a professional team who does this every single year for homeowners all across the city. Our ultimate goals to help you impress your neighbors and even cause them to be a little bit jealous of your winter Wonderland that can be created in a timely manner. With the technicians and the designers on our side, we can turn your home into a beautiful holiday atmosphere without you having to lift a finger. Installing wind should not have to be a stress factor for you this year. Our professional team can get those Tulsa holiday lights up, get them working and get them installed within a reasonable amount of time. Businesses all over the city are getting ready for the holiday rush. Ragtag sales, yellow tag sales, green tag sales and any other color tag sales that you can think of. This is a busy time for store managers, small business owners and big-box stores who are looking to make a killing during the holidays. The last thing you want to have to worry about is having your employees go outside your business and start to hang up the Tulsa holiday lights. Why not trust the holiday light installation professionals to get those lights up on the outside of your business? Green Leaf Lawn works with companies all over the city and helps them put up those lights in a professional way. Holiday parties calm every single year. People expect greatness, Christmas spirit and an atmosphere filled with joy. A good way to make sure that this happens is by having professional lights installed along with other Christmas decor such as wreaths and garland. Green Leaf Lawn will not only install your Tulsa holiday lights will also be connected with the designers and event planners that are known to be the top in Tulsa. We all arrive on site, taking measurements and offering suggestions on how to make your party a smashing success. If you’re ready to have a stress-free Christmas this year called the lighting professionals today. But hury! Green Leaf Lawn is in high demand because of our professional installation ability and our popularity that is grown over the last few years. Get connected with top Tulsa holiday light professionals and watch the stress simply disappear like Frosty the Snowman would once Christmas is over. This is your year to simply enjoy the holidays and not lose your mind searching for that box of Christmas lights. There’s no reason stress this holiday season when you have Green Leaf Lawn, Tulsa holiday light professional installers on your side. Businesses, property managers and homeowners all agree that Green Leaf Lawn is the number one light installation professionals that will get the job done right and in a timely manner. With them great team and connections to lighting designers from across the city, our company will have those Tulsa holiday lights up in little or no time. Give us a call today for your free on-site estimate. You won’t be disappointed in the end results. We guarantee it. Gives a call at 918-640-6405. Green Leaf Lawn provides you with Tulsa holiday light experts who can install, tear down and store this holiday season. As a homeowner we understand that your list only gets longer has Christmas time gets closer. You’re focusing on finding the ideal Christmas tree, picking out the perfect holiday gifts and even trying to get that bathroom remodel done just in time for the family to arrive. The last thing anyone wants to do is try to find their holiday lights from last year that are probably tangle in a box somewhere in the back of the attic. Green Leaf Lawn provides the lights, the team and the installation without you having to lift a finger. But we don’t stop with homeowners. We provide the same service for businesses who are dreading the time when they have to hang up there Tulsa holiday lights. Your employees need to be focused on inventory, cleaning the store and making sure everything is ready for that big Christmas sale that happens every year. With a a big rush soon to be coming through your shop, allow the professionals to install your holiday lights this year without you having to lift a finger. We can turn your business into a place of holiday welcoming and make sure that it stands out from the corner of the street. Focus on what’s important and will focus on the Tulsa holiday lights. Holiday parties are a big deal for companies and for homeowners. Our lighting crews can provide you with free estimates on how to light your Christmas party or corporate function that is just around the corner. We have the highly qualified lighting installers who will arrive on-site to take measurements and give you a free estimate on how much is going to cost. This holiday party could be the best yet because you are focused on the important things while we were focused on hanging up the lights. We also have connections to the technicians and designers who will help us make your event perfect. If you’re ready to connect with the holiday lighting professionals please give us a call today or visit us online. We are excited about the holidays and we want you to enjoy every moment of them. Don’t worry about untangling that wad of Tulsa holiday lights this year. Allow Green Leaf Lawn to hang up the lights and store them away after Christmas has come and gone. This is the best option for you if you’re looking for a stress-free holiday that does not require you to risk your life dangling from the roof as you try to straighten a lights.